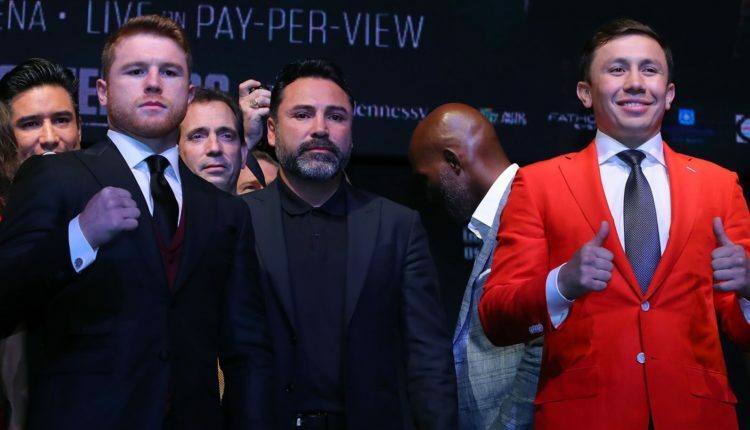 While it is Daniel Jacobs up next for his fighter, Golden Boy Promotions CEO Oscar De La Hoya has confirmed that a fight between Canelo Alvarez and Gennady Golovkin will happen, and that Alvarez won’t need the judges. “There’s no doubt whatsoever,” De La Hoya said of a trilogy between the two middleweights. Speaking with DAZN during Jaime Munguia’s win over Takeshi Inoue, De La Hoya broke down how he used Twitter to get the fight he wanted between Alvarez and Jacobs. “[It was the] last second, the 11th hour,” said De La Hoya. “I was one night tweeting and said to myself, ‘how am I going to make this happen?’. 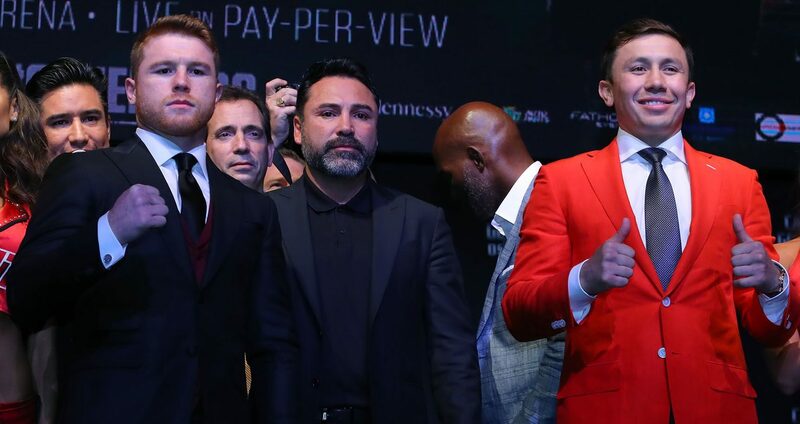 “I sent out a tweet that said we were going to talk to GGG and make the third fight happen and Jacobs’ promoter, Matchroom Boxing, called [Golden Boy president] Eric Gomez the next day and said you have a fight with Jacobs.